Real Estate (Regulation and Development) Act, 2016 is going to complete a year and people are still skeptical about the implementation of the provisions of the act. One of the vital point which was not covered under the provisions of RERA was the refund of the booking amount as on the basis of same the home-buyer can’t get the status of an allottee as per Section 2(d) of the RERA Act and for the maintainability of the case a complainant should be an allottee. 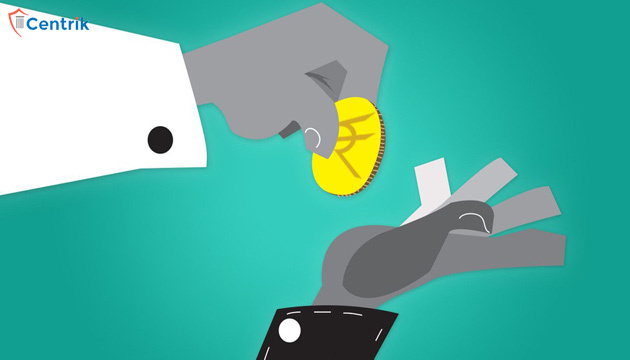 Lately, the Maharashtra Real Estate Regulatory Authority in its ruling shed some light on the refund of booking amount as in its order the authority directed the developer to give back the amount of Rs 1 lakh which was paid as a booking sum by the home-buyer. The complainant, Sanjiv Gill had booked a studio level in ‘UK Iridium’ at Kandivali East. The booking amount was paid on May 28, 2017, and 4 months later on he asked for the refund of the amount which he had paid at the time of booking, the Developer didn’t give any response to his cancellation request and finally, the complainant had to knock the door of RERA Authority. In hearing proceeding the legal representative of the developers said that this case is not maintainable as per the provisions of the RERA as there is no section regarding the refund of booking amount. He also made a statement that the complainant doesn’t have the status of allottee as per Sec 2(d) of the RERA Act and also no Builder-Buyer was not executed between the parties so on the basis of the same, the advocate of the developer plead before the authority to reject the complaint outrightly. The MAHARERA Authority eventually made an order where the clear directions have been given to the builder to refund the booking amount of Rs. 1 lakh and simultaneously he has to pay Rs. 50,000/- as a penalty to violate the section 3 of the RERA Act. In the light of the above we can reach to the outcome that even if the Builder-Buyer agreement is not executed and the complainant is not falling under the definition of an allottee, he may still approach RERA Authority to seek for the legal remedy. Although seeking for the recourse as per the act also depends upon the facts and circumstances of the case. Dear Sir, I am facing the similar situation. can you please send me copy of the order or a link to it on my email ID – rrd1991@gmail.com. It would be of great help. Thanks. I have bought a house in Sobha dream acres project. I want to cancel the property and the property is under tera. I am not sure about my booking amount. I have paid an initial payment of 610000 Rs, and it states in my ledger that this was towards land cost. And if I am not wrong rera clearly mentions that builder can keep booking amount. If I cancel now, will I loose my initial payment money? Please mail us at rera@centrik.in so that we can reply based on the facts. I have booked the apartment in Sobha Dream Acres Bangalore with booking amount 90k in FEB 20 this year. Next day I realized that they are hiding some facts about the property related to corridor. Then I have cancelled the booking next day by verbally telling on call and also by sending them a mail of booking cancellation. Now it have been 5 months and i yet to get my refund even after I am following them in a regular basis. They are only telling that they will refund as per company policy.But seems like they are taking matter seriously. They also keep giving me fake commitments every time I call. Please help me as I need money immediately as I am suffering in a financial crisis issue. I heard that in RERA compliance, builder should refund the amount in next 45 days of booking cancellation but in my case it already have been 5 months.Also they told they will not refund full money i.e 90k. They will only refund 40k.I am not sure why they are deducting 50k rs. Now as it have been 5 months of suffering , I am seeking some penalty too on the builder to keep holding my hard earn money. Please help me and suggest if it is possible to get refund earliest. Attached are the payments done at the time booking. The amount of refund shall depend on the terms and conditions signed between you and builder. I have also same problem. How can I check the terms & conditions? I am facing similar problem. What is your status ? Sir we booked a apartment in Omaxe new Chandigrh, as we moved back from Canada , as we don’t have income prove in India. That why bank rejected loan, but buider lies at the time of booking they’ll get the loans done . Now we’re asking our booking account back there saying they will deduct money. Can you please guide us how get our money back. I booked a Flat with a Builder, 6 lacs as first Booking amount and gave the cheques for Booking amount 2 & 3 for after a months time. Later four days my banker refused to sanction loan. I understood that won’t be able to get loan and initiated cancellation after 10 days after application/First booking amount and mentioned in writing not to produce my another two cheques and issued stop payment. The builder got finance team and they kept hanging the case mentioning they are getting the loan done for me from HFDL. Asked to submit my documents to Bank. After some time that too got denied. After crossing the Booking dates, The Builder sent notices mentioning all amount are fortified. No Refund. Please help should i go to RERA office to file complaint ? or Consumer forum ? or directly to Court ? Yes, based on the preliminary facts, you can file case before RERA. You can even file case under IBC. However the final advise would be based the final facts. Please help should i go to RERA office to file complaint ? or Consumer forum or directly to Court ? I have booked a flat and paid booking amount of RS. 4 lakh for it. I have neither completed any agreement for sale nor signed any other documents. I have cancelled my booking because bank is not given loan due to some legal issue with property. Then I cancelled my booking and builder returned my money after deduction of GST which is nearly 43000. Same flat which I have booked is sold out within few days to another customer by builder. Now I wish to know that whether I am eligible to get GST amount back or not? If yes then what is the procedure to get it. Logically it should be refundable because how can a builder take GST two times for same flat. As per GST regulations, if any sale/transaction is cancelled the GST payable shall be reversed. Hence based on the primary facts, you are eligible for GST refund. My father and mother have booked a shop in an upcoming mall named core mall by paying 4lakhs through cheque for unit amounting RS 26 lakhs (24lakhs bsp and 2lakhs other charges) by signing a booking form on 1st sep 2017. My father died next month in an sudden cardiac arrest on 13 Nov and we approached the builders narrating our financial crisis for processing our cancellation. The cheque was encashed by the builder on 30 nav even when they were aware dat we need cancellation and refund. We were told to write an email regarding cancellation. We kept asking for email address which was given to us after continuous pursuation after a delay of three months. We wrote many mails and finally received a response after two months that we need to process cancellation in paper. No terms and conditions were explained and it was informed we shall get the entire amount after 90 days of processing the application. We trusted them and waited in which the builder said he can give only 30% of the money as remaining 70%is with rera escrow account for which he has sent our file to Rera and rera will give them the permission only after which they will refund. We told the builders to process the complete u amount for refund and not 30%as the builder was it giving this in writing.We kept waiting for an year but nothing happened. On meeting the manging director directly we were informed that booking form says 15% of the earnest money will be deducted but no terms were mentioned other den this.. no builder-buyer agreement was ever signed disclosing the details terms and conditions. My family is in trauma and financial crises after my father’s demise. 4. He basic selling price was 24lakh but how much will be the booking amount is not mentioned. We paid 4lakhs which is 16%od bsp yet no agreement was processed. 5. Wat is an earnest money in discase Is it15% of the money paid as advance or 15 %of the total shop value that me may not refund. SIR,CAN I GET A JUDGEMENT COPY PLEASE. I’m cancelling my shop from a RERA registers commercial project. It shall be governed by the allotment letter or Agreement to Sale respective of the flat. I booked the falt at palawa dombivali with booking amount 50000 ? will builder return my money or not , if yes then how much ?? Sir, i had booked one flat at a Maharera Registered Developer’s project at Pune in August 2018 & given Amount Rs 10 Lakh through Cheque as Token, builder has not given Receipt. But after 10 Days of it I cancelled Booking in writing with acknowlegdment by builder, because it is seen that some facts mentioned in Builders Broacher & also design shown in website by Builder on which i rely are not there in actual Project. Also i met with an financial crisis. Builder firm’s MD though agreed to refund me amount but till date not returned it. He is not receiving calls. What is the remedy. Dear Sir, I have booked 1bhk flat with Omkar builder under subvension scheme. I was assured that if anything goes wrong then i will get my refund 100.%. My loan eligibility is confirmed but i am not able to get POA as per bank loan requirement. I currently staying in Mauritius. i have paid 5.84lacs ,my hard earn money. Now sales department is telling me if POA goesnt get sorted then the booking amount of my flat will be forfited. This POA issue is ongoing from 9 months. I did booking in sept.18. Please guide and helpme to recover my money from builder. Dear Sir, I have booked 1bhk flat with Omkar builder under subvension scheme. I was assured that if anything goes wrong then i will get my refund 100.%. My loan eligibility is confirmed but i am not able to get POA as per bank loan requirement. I currently staying in Mauritius. i have paid 5.84lacs ,my hard earn money. Now sales department is telling me if POA goesnt get sorted then the booking amount of my flat will be forfited. This POA issue is ongoing from 9 months. I did booking in sept.18. Please guide and helpme to recover my money from builder. Thanks &Regards, Prashant oza. you can take up this case with respective RERA. I booked flat on 12th of Feb 2019 in kb Residency bangalore bommasandra. I have given 3 lacks as my booking amount. Then I applied for loan. Now few days back I got to know the original document of the Apartment has been lost by the builder and he logged FIR for that. Apart of that he is not given the right information about occupancy certificate also. He told he filed for that but he is not sure wen it will come. Should I go ahead or I should cancel the booking. Will I face any issue in future? Sir if I cancel the booking am I eligible for the refund amount of booking? Cause these mess is coming from builder end he hidden all this info in the time of booking. Sir , I booked a flat with Wadhwa group at Wadhwa pristine Matunga , Unser construction project , in jan 2019, possession expected by 2021 , for 4.05 cr with booking amt of 5 lacs as I expected my mahim flat to sell for 4 cr. But govt audit got valuation for 2 cr only , as it’s 50 yr old bldg, so am unable to fulfil payment and wish to withdraw. But Wadhwa team not responding. Can you help please and guide further. No document or receipt recd for the chq payment. Only expression of interest given by self and acknowledgment recd.